I'm starting with the finish. 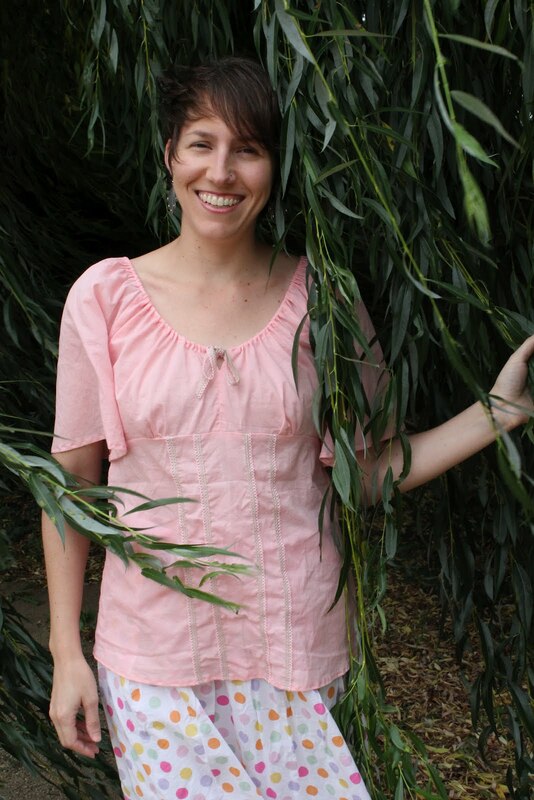 My second version of New Look 6870: a dainty pink shirt. As you can see, it is quite windy today, so we didn't venture far for the photographs! Why don't I just show you the first version again??? I don't have much to say, construction-wise. This being my second time through, it was easier. I managed not to twist the elastic this time. Oh, and I converted the front darts into gathers along the bust, as I did last time. And I made the opening slit at the front neckline shorter because I feel it's too low on the first version. Overall, I think I prefer this version to my first one. Although that could just be the excitement of newness! But I really like the addition of the lace and I prefer the tie closure to the button, as well as the longer sleeves. The pink is super girlie though. I don't think I'll pair the shirt with this skirt in the future. It matches, but I felt like I was dressed up, and not in a good way. So I can't honestly say that I have filled a gap in my wardrobe (to make a shirt that goes with that polka dot skirt!) because I just don't think I'll wear them together. But it does count as a win for my Colette Spring/Summer Challenge. Clearly I'm finishing up at the end of summer, but I'm still happy to finish the projects and I think they are garments that I'll get good use out of. And, finishing up with the start of a new project: today I cut out a long-sleeve version of the Negroni in a check fabric. Wish me luck! Those are just perfect for a summer day. Girly? yes. Do they fit your "look"? yes. I love all these photos. you look as gorgeous as ever in another gorgeous outfit!! 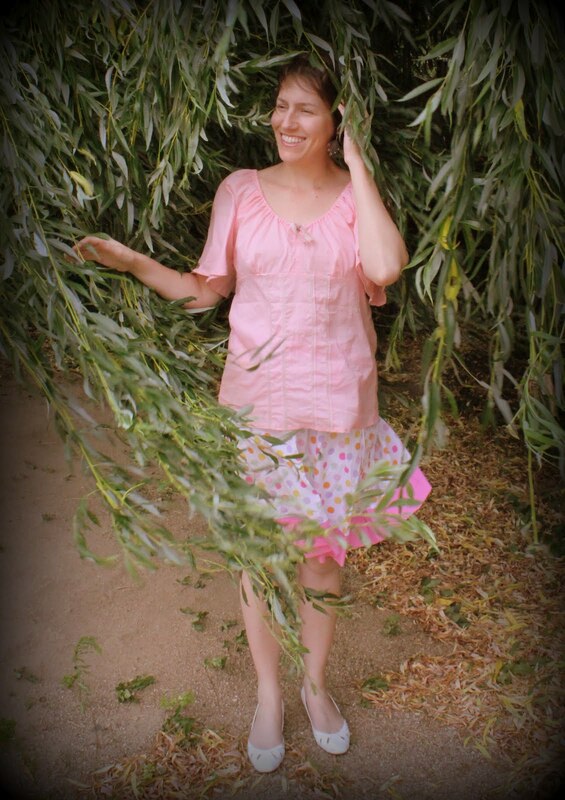 So that first picture of you might just be my favorite picture of you ever - you are positively luminescent! 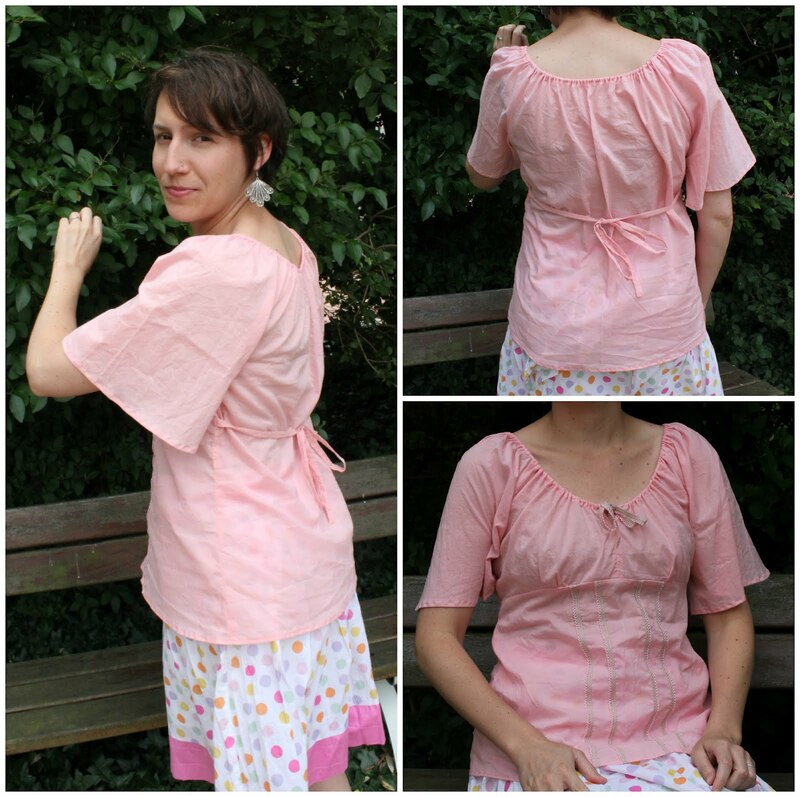 The pink top turned out beautifully - I love the back and sleeves especially!